Hey friends! How are you? Well, I hope. Have you traveled, adventured, done something exciting that warrants leaving a comment to share? I hope so. This month marks our 4 year anniversary on Minimalist Baker. Whoa. Check out our very first post here (still one of our most popular recipes! ), and learn more about us here and here. June is over. Did you know that? 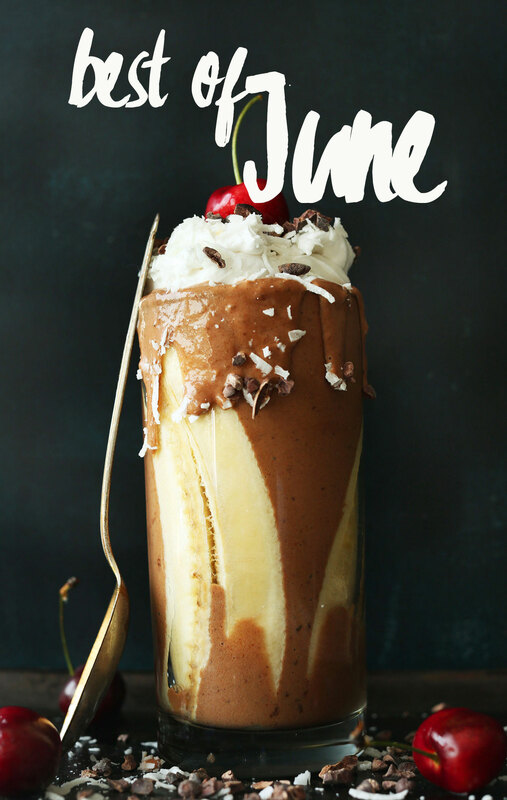 And we’re on to July – my favorite month. The month wherein I turn 30. As in 30 years old. Whoa. How did that happen? Am I still cool? Please say yes. It’s monthly recap time where we highlight the food and non-food things we made, some upcoming EVENTS (! ), and what we’re into. Let’s get started with eats! I was obsessed with the Healthy Fig Newtons this month, as well as the Banana Split Smoothie and S’mores Bars (sweet tooth much?). My favorite savory recipe was the Portobello Steaks – so good. What about you? 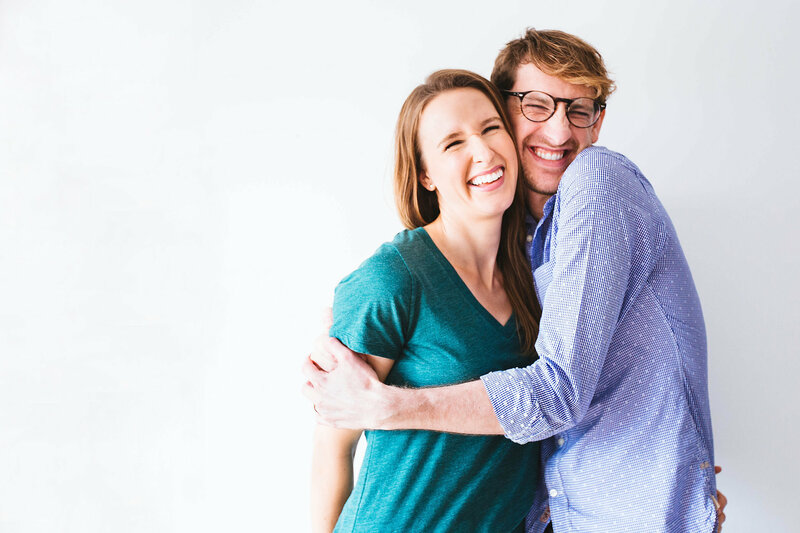 We did a book event in Portland with Joshua Becker of Becoming Minimalist! It was so much fun you guys. Thanks to everyone who came out! For upcoming events, be sure to check out our event page for a growing list of where we’ll be traveling and hopefully meeting more of you! Learn: This article on how productivity is really about what you don’t do. I’m a believer. Watch: Izy Hossack’s video recipe for sweet potato chocolate mousse. So adorbs. So delish. Cook: I adore Laura Miller and her new book Raw Vegan Not Gross. You must get it even if just for the introduction, but certainly for the stunning vegan (mostly raw) recipes. Read: I learned a ton from the book Modern Rapunzel by Jeanne Powers. It’s all about how to grow long healthy hair, maintain a healthy complexion, and so many other natural health secrets. A great read for you ladies there who are totally vain like me and searching for the fountain of youth. This book just might be it. Follow: Two Instagram accounts I’ve been loving lately are Shut the Kale Up for gorgeous food pics with a side of sass, glimpses of real life as a mom, and tons of fitness inspiration. Another new-to-me account is Cashew Kitchen which has some seriously dreamy food pics. 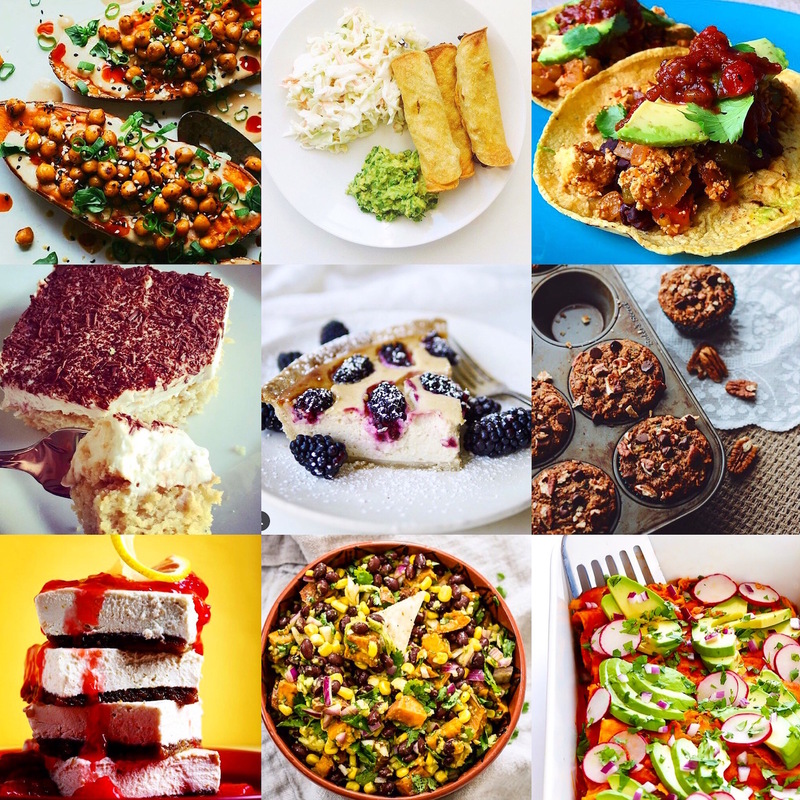 Tag Us: All of your #minimalistbakercookbook tags on Instagram (collage above)! Your pictures totally make our day. We LOVE seeing our recipes come to life in your kitchens. If you bought our cookbook and are loving the recipes, be sure to tag us so we can see! Listen: Hands down my favorite song of the month: Beck’s single “WOW.” You’re welcome. When is your July birthday (they’re the best obvy ?)? Mine is the 17th and I will 100% be celebrating with your creamy lime bars! Thanks for the delicious recipes- use them weekly- and humor. All the photos look so good!!!!! Happy four year anniversary! I love everything this month! The Portobello Steaks and Whoopie Pie S’mores are INSANE! I also love Shut the Kale Up on Instagram–such a wonderful feed of delicious food! Whaaat is your birthday on the 24th? I checked the post from last year and it seems like it is and if so, me too!!! I turn 29 this year. Might just have to make the same cake. Lovely! Ha! Yes! Happy birthday twin! Thanks for sharing your wonderful talent! And, Happy Birthday. Happy 4 year anniversary to Minimalist Baker. It must have been such an epic ride physically, emotionally, and mentally! You are an inspiration and I am so happy and excited for you. 30s is the new 20s. I welcome you to the new 20s Dana :P ! I love the recipes. Amazing post!